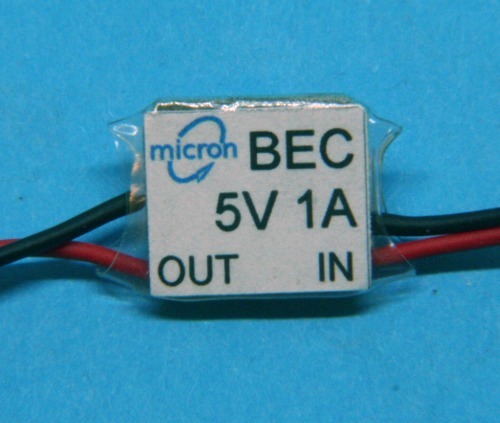 Please contact us if you need a BEC with different connectors. 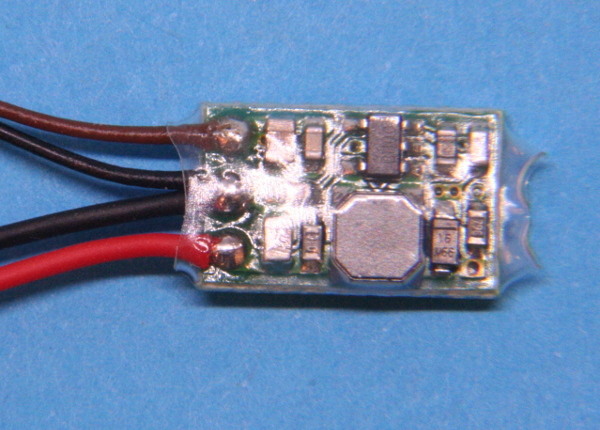 A small voltage converter module for generating 8V or 12V from a single LiPo cell - ideal for use with a Deltang Rx6 model rail receiver. Size: 27 x 18 x 5 mm + leads, Weight: 2.4g. Supplied with 100mm lead-out wires: input is red/blue; output is red/black. Available with and without on-board indicator LED. 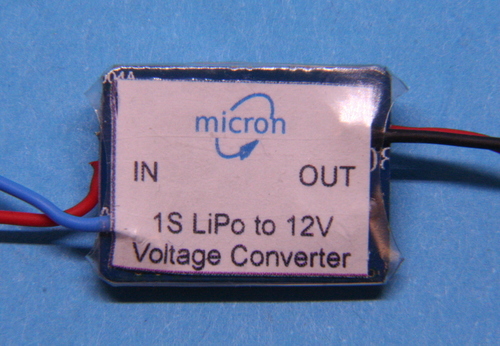 A tiny voltage upconverter for generating 9V or 12V at 0.4A max from a single LiPo cell. Size: Size: 13 x 8.5 x 5 mm, Weight: 1.5g. 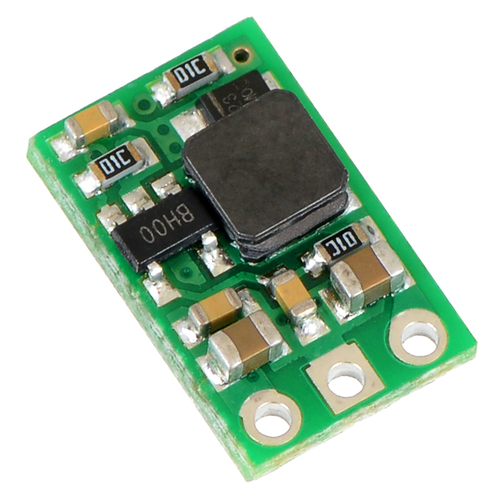 Available as a bare board with solder pads and with lead-out wires plus heatshrink covering.